Bowden starts out by saying that Samardzija is somebody that the Blue Jays should consider, and he’s right. Toronto has a lot of things going well for it this season, but aside from Mark Buehrle, it’s pitching has been pretty pedestrian. Adding an arm like Samardzija to the top of their rotation could help the Jays separate themselves from others in a very winnable AL East. It’s the actual trade he proposes that is just ridiculous. The Blue Jays should strike early and try to land Samardzija, and without dealing top pitching prospects Aaron Sanchez and Marcus Stroman. Perhaps an offer of left-handed pitcher Daniel Norris, right-handed pitcher Roberto Osuna and third baseman Mitch Nay could get it done. Okay, so let’s break this proposal down. Bowden believes that the Jays should strike early, when the Cubs don’t really have any urgency to move Samardzija at the moment. That’s fine. If you can get Samardzija when he still has over a season and a half left before he’s eligible for free agency, that’s a good thing. It’s the part where he says the Jays can do it without their top two prospects in Sanchez and Stroman. It’s not that a package of Norris (Toronto’s #3 prospect), Osuna (#5) and Nay (#9) isn’t a nice package. It’s pretty good, and it may end up being the best offer the Cubs get on Samardzija, but why in the hell would the Cubs rush to make this deal now? There is never a shortage of teams looking for pitching, let alone a starter of Samardzija’s caliber with yet another year of cost-controlled excellence in 2015. 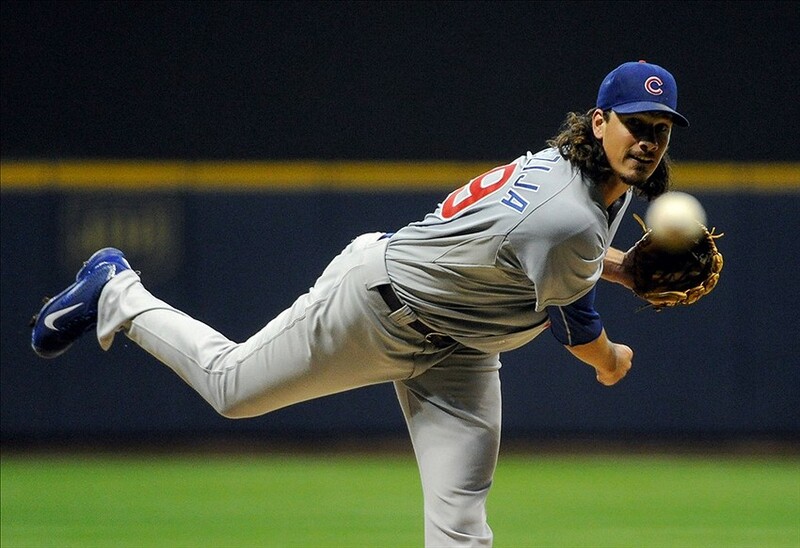 The Cubs, should they opt to trade Samardzija, will have plenty of suitors to choose from. So if Toronto is coming to them now asking about him, I’m starting with their top prospects (assuming the Cubs brass agrees on Sanchez and Stroman being their top prospects, you never know). If Toronto isn’t willing to talk about them, then I’m not willing to talk to Toronto. Sorry, but I’m in no rush here. Call me in July when Mark Buerhle’s no longer the second coming of Greg Maddux. Jim Bowden, though? He’d do it. So no matter what Cubs fans think about Theo Epstein or Jed Hoyer, just know that there are always worse hands to be in. This entry was posted in Chicago Cubs and tagged Jed Hoyer, Jeff Samardzija, Theo Epstein, Trade Rumors by Tom Fornelli. Bookmark the permalink.